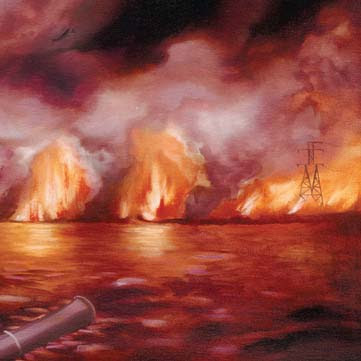 As I mentioned last December, The Besnard Lakes are releasing a new album, The Besnard Lakes Are The Roaring Night, in early March. On February 8, a 12” single for the song, "Albatross," will be released and, if you haven’t heard this track yet, check it out. It’s not often that I would apply a word like "powerful" to a song, just because it’s such a cliché and not the most thought-out descriptor, but "Albatross" is powerful. The dragging bass line and heavy percussion coupled with that angelic vocal is captivating to say the least. It’s definitely one of the best singles I’ve heard so far this year. The band also scored Mark Ruffalo’s directorial debut, Sympathy For Delicious.